Gridskipper said: "Barcelona's Altair is possibly the largest travel bookshop in Europe, stocking titles from guidebooks to travelogues in both Spanish and English. The store sponsors worldwide traveler speaking events, readings, and forums, and they have their own travel agency as well. Many books wander out of strict travel genres into nature, anthropology, and sociology, often melding aspects of several disciplines. A great place to browse, even if you don't speak the lengua." Altair bookstores in Barcelona and Madrid are the biggest travel specialized bookshops in Spain, and perhaps in the whole of Europe. The company also publishes a monthly travel magazine (by the name of Altair), and they also own an alternative travel agency called Orixa. Some people say that there is too much to choose from in Altair: numerous travel guides, maps and books related to traveling, even photography and music, find their place on Altair's bookshelves. Perhaps, there is no such thing as too much. Judge for yourself. 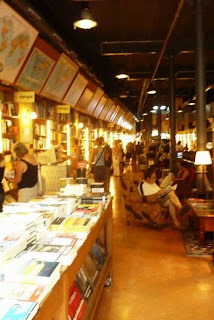 We have visited the bookstore in Barcelona and we were more than impressed. 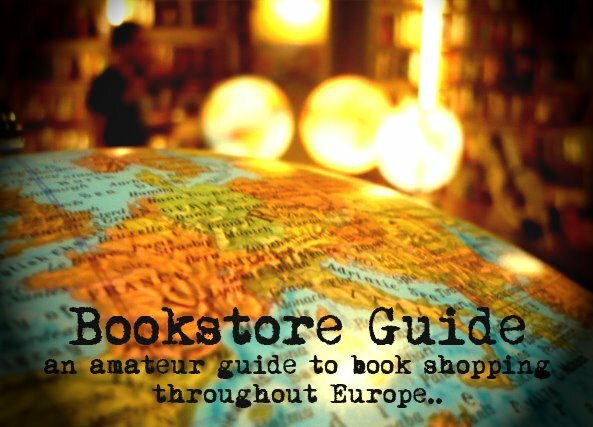 We have to say, that this is most probably the best travel-specialized bookstore we have seen. The whole interior of the bookstore is a traveler's delight. The books are arranged by continents and countries and the offer goes well beyond guidebooks and maps, you can actually find a selection of fiction by selected authors for each country. We tried to describe our impressions from the atmosphere of Altair in our Report from Barcelona. Altair is a spacious travel bookstore. Their selection offers guidebooks of many kinds, various maps, colorful travel literature and even books on topics such as nature and anthropology, children's books and comics. Another interesting offer is their selection of music CDs and DVDs. Hi--I'm a journalism student in Canada working on a travel magazine, and we've included some info on Altair in a story on bookstores around the world. I was wondering if it would be possible to use the photo you've included in this post? Also, if you have a larger original photo that we could use, that would be great. You can reach me at cara.smusiak@dal.ca. Thanks! Please, put this bookshop under Barcelona, not under Madrid.